NoSQL database startup Aerospike has raised a $20 million series C round of venture capital and is open sourcing its in-memory key-value store. NEA led the round, which also included Columbus Nova Technology Partners, Alsop Louie Partners and Regis McKenna. The company, which launched in 2011 as Citrusleaf, raised an undisclosed amount of series B financing in August 2012. 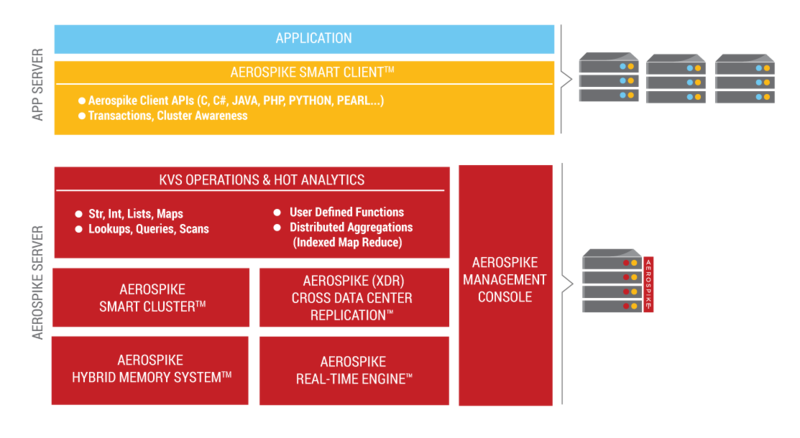 Aerospike has already gained a name for itself in the advertising and marketing spaces as an operational database capable of serving millions of transactions per second. Brian Bulkowski (pictured above), the company’s founder and CTO, said Aerospike will now focus on trying to expand its user base into other areas where speed and low latency are critical, such as financial services, retail and travel. It’s a good alternative to other NoSQL systems, such as Cassandra, which is really designed for analytics, and for relational database systems fronted by an in-memory caching layer for low latency, he added. Bulkowski said the plan has always been to open source the technology, but “there’s a moment when the time is right to go for broad adoption.” Aerospike focused on advertising customers for a few years in order to limit distractions as it built a sturdy product, and now is the time it chose to expand into new markets. And, Bulkowski noted, open source technology is a great start for anyone looking to build trust with infrastructure buyers in today’s market . However, just open sourcing a product doesn’t guarantee people will want to use it. Aerospike is late to the game, and it’s conceivable some would-be customers have already settled on other data stores. Bulkowski is confident his company will be able to build a big community, though, mostly because the technology is good. It plans to build connectors for more open source data platforms, including Hadoop, and to improve its story around supporting SQL as a query language. For the ones interested in NoSQL performance, I’ve just found a good webminar, powered by O’Reilly. Here is the link for free registration http://oreil.ly/VH1VvK. So which type of non-relational (i refuse to use the other term anymore) db is it? And what OSS license is it?